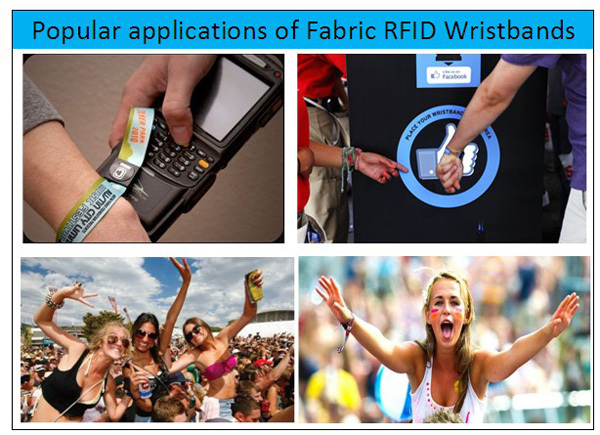 Single use fabric RFID wristbands for concert and event ticketing and cashless venues. 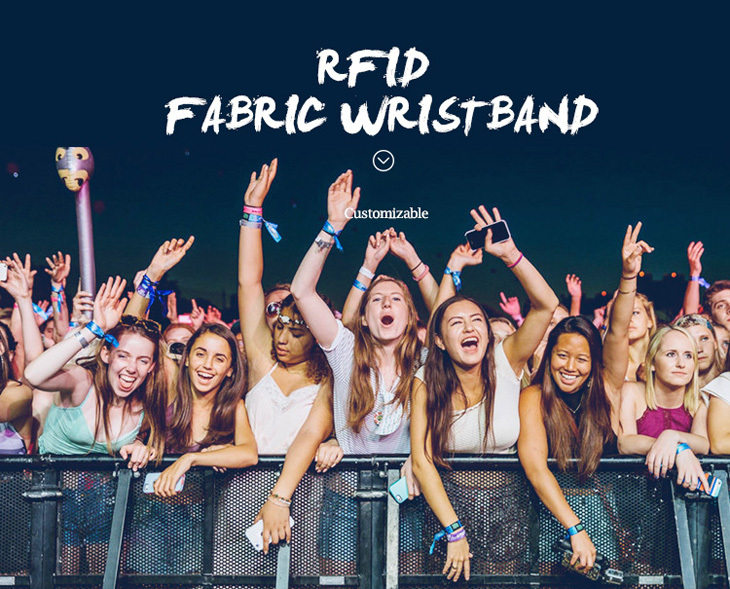 Fabric RFID wristbands in both 125 KHz and 13.56 MHz for short to medium range reads of up to 60mmm depending on the reader. 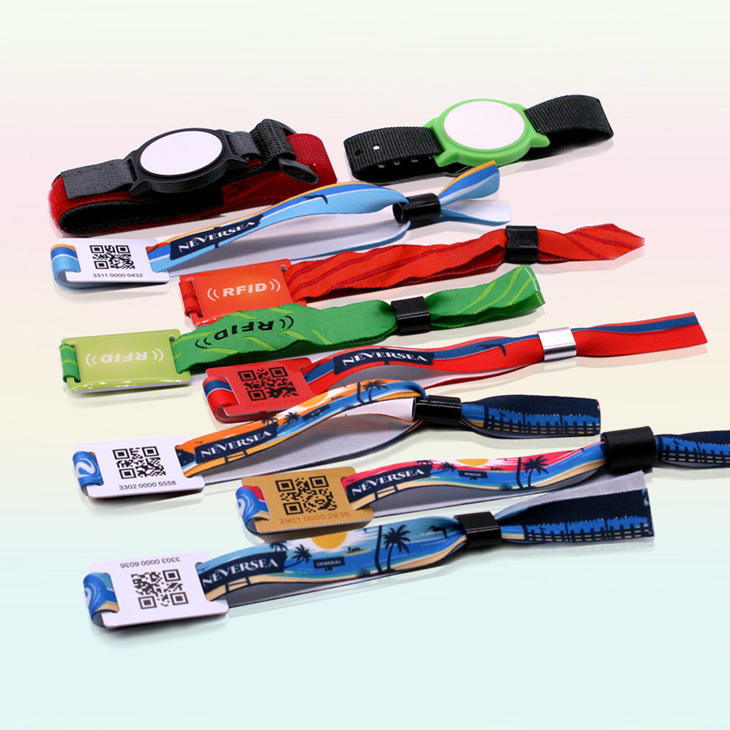 Fabric RFID wristband is customizable to include customer branding and the RFID tag face can be custom printed with a customer logo. 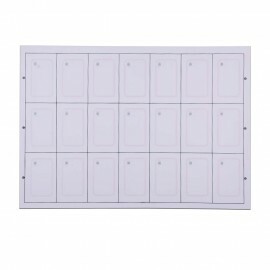 860~960MHZ UHF: Alien H3/H4,Monza 4/5,UCODE 7, etc. 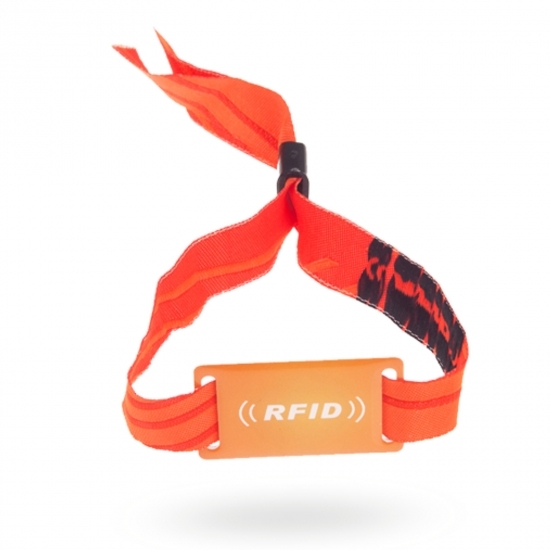 13.56MHZ HF: Ntag213, Ntag216, MF Classic 1K, MF Classic 4K, MF Ultralight, I-CODE2, F08, etc. 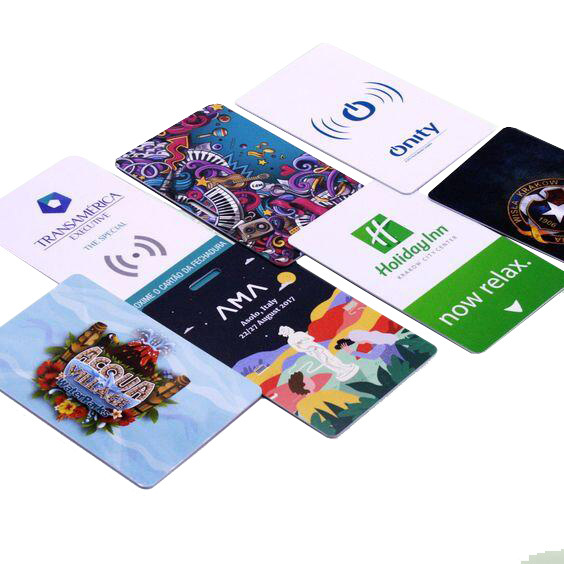 Concert, Event Ticketing, Music Festival, Party, Theme, Water Parks, Resorts, Trade Shows, RFID Experimental Marketing Events, etc. 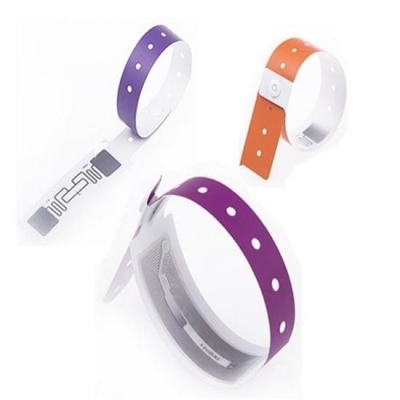 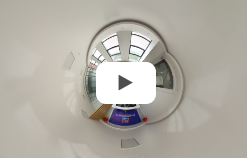 The Silicone RFID wristband bracelet is a special design for human tracking, for example used for patient in hospital, ticketing management in swimming pool, club, playground, or concert. 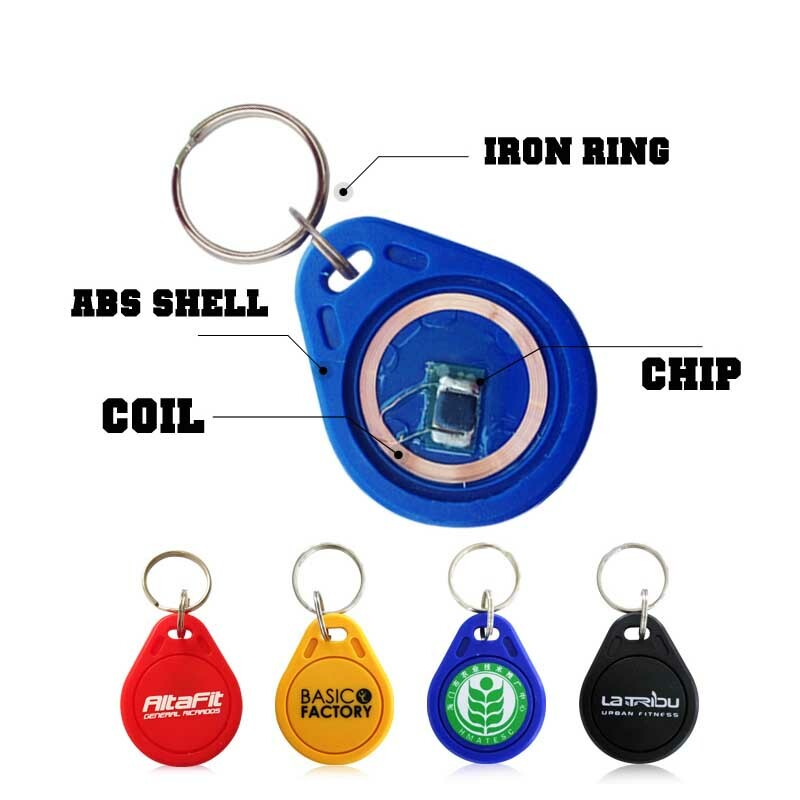 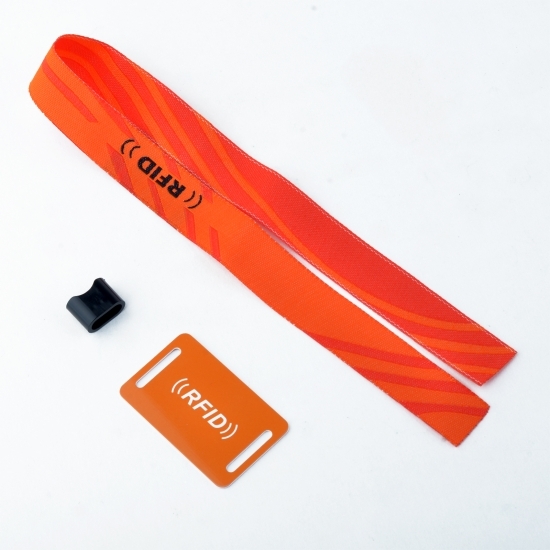 It's an RFID inlay embedded in surface PVC disc tag and a nylon band to adjust a suitable length to wear. 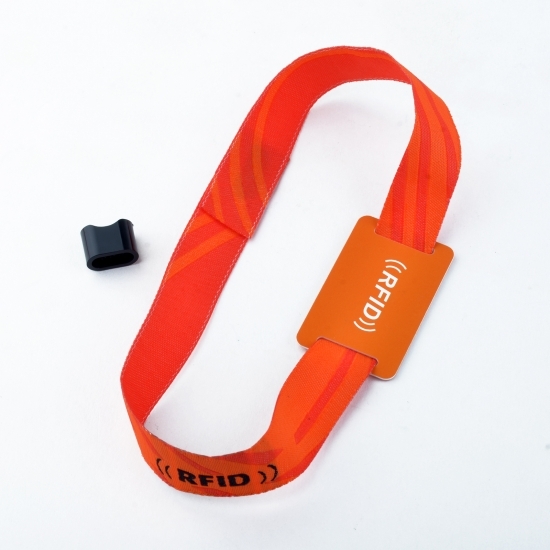 It's a recyclable, waterproof and dustproof tag, could be oneside silk printing. 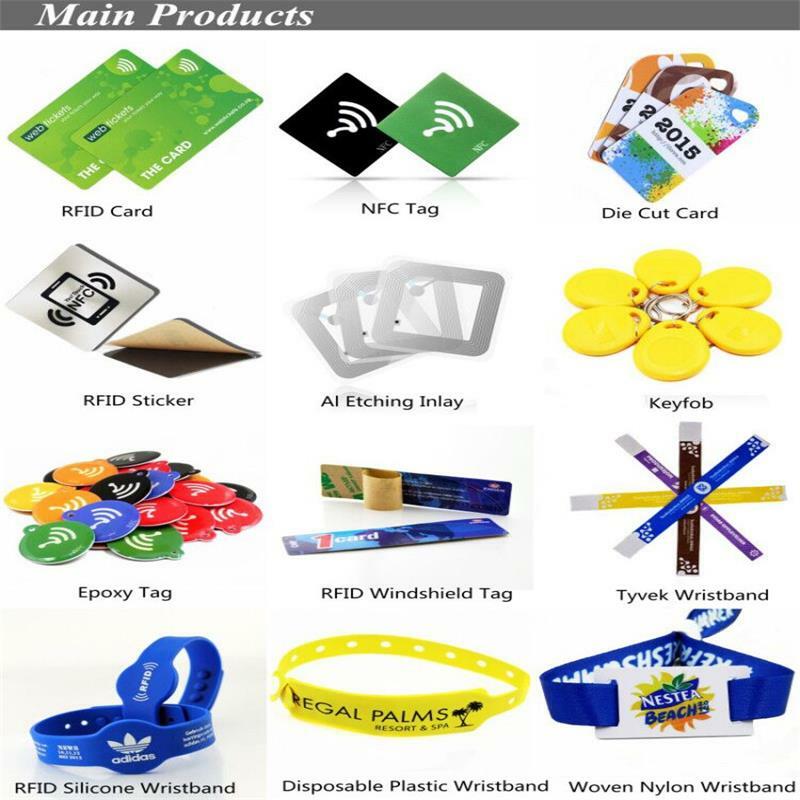 RFID wristband can be widely applied in swimming pool, theme park, marathon, hospital management, membership management and loyalty program and access control management etc. 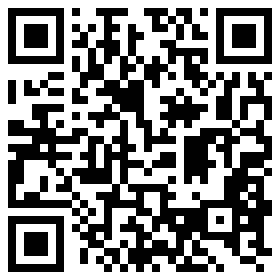 Besides, we can provides programming and encoding services which exactly fit customer's programming or encoding requirements. 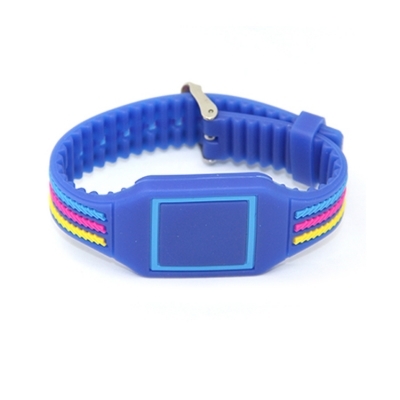 NFC Woven wristband combine the RFID technology with good looking and practical housings. 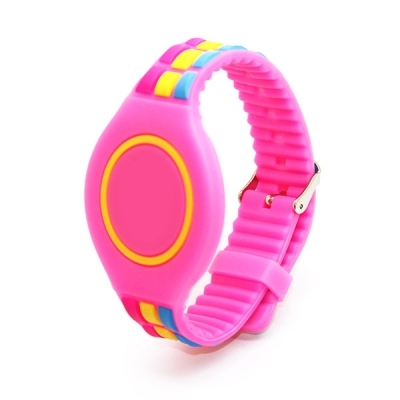 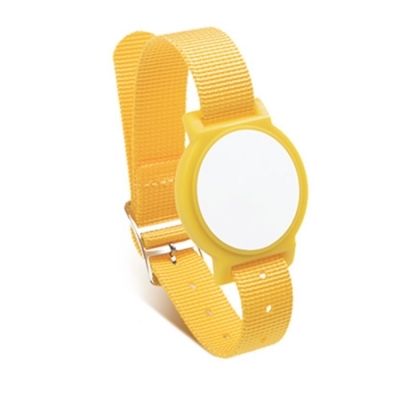 They can be used like a wrist watch and make using RFID technology easy. 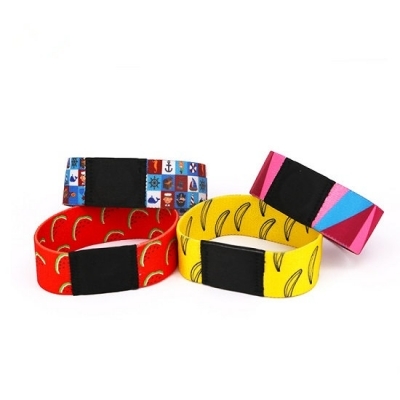 Flexible, beautiful,makes it comfortable and durable for long lasting use. 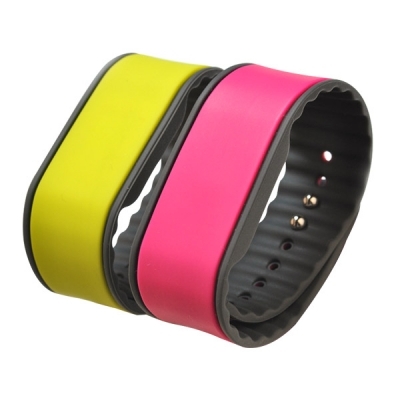 The Maximum available color is 7 colors,meeting your unique design requirement. 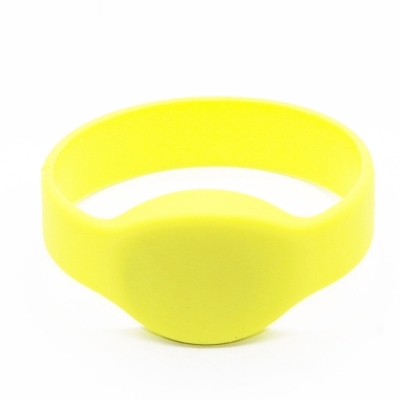 RFID disposable paper wristband allows wearer to enjoy not only the environmental protection and health, comfortable to waer, and each is exquisite, unique.